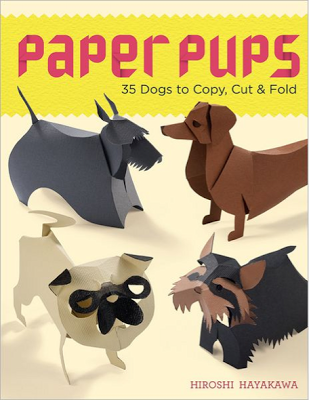 Extension Of Time To Win: Paper Pups, 35 Dogs To Copy, Cut & Fold! In case you didn't see the announcement on our Facebook page the other day, we are extending the deadline to enter to win one of THREE copies of this awesome book by our friend, Hiroshi Hayakawa. Seriously, you need to pitch this to someone, somewhere. Animal Planet could be all over this.